Swurl users are users who can allow or block access to web content. 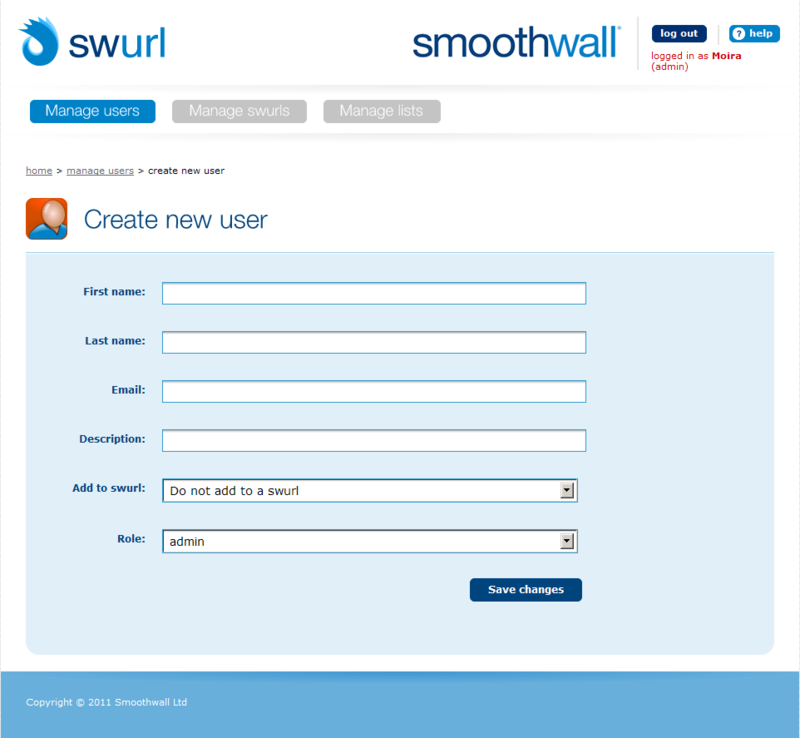 Swurl administrators manage Swurl users by creating, editing and deleting user accounts. 2. Click Create New User. • First name — Enter the user’s first name. • Last name — Enter the user’s last name. • Email — Enter the user’s email address. • Description — Enter a brief description of this user account. • Add to swurl — From the drop-down list, select the Swurl the account is part of. If this account does not form part of a Swurl, select Do not add to a swurl. For more information about Swurls, see Creating Swurls. 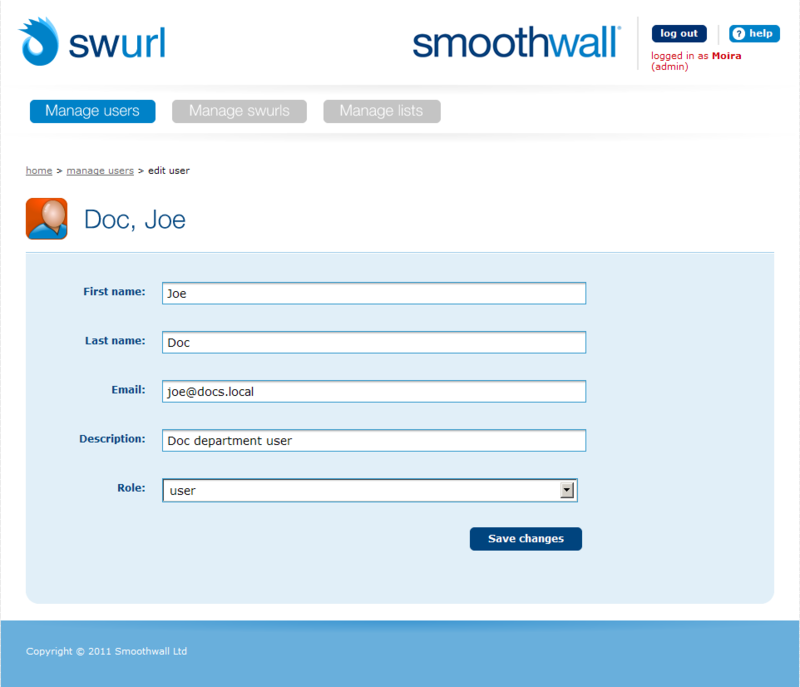 A Swurl administrator can manage user accounts, Swurls and lists. A Swurl administrator can also allow or block access to web content. A Swurl user can allow or block access to web content. 5. From the Manage users page. Locate the user and click Invite. Swurl sends an email to the user inviting them to join Swurl. When the user clicks on the link in the email, their browser will open, display the Change password page and prompt them as to what to do. 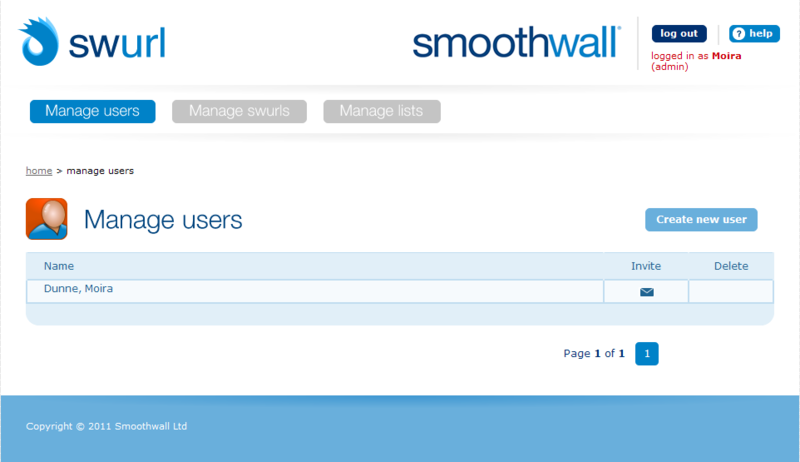 For more information, see Accessing Swurl as a User. 1. On the home page, click Manager users. 2. Click on the user account you want to edit. Swurl displays the account details. 3. Make the changes required and click Save changes. For information about the settings available, see Creating User Accounts. 1. On the home page, click Manage users. 2. Locate the user account and click Delete.